“I can’t wait to buy my bridesmaid dress!” said no one, ever. 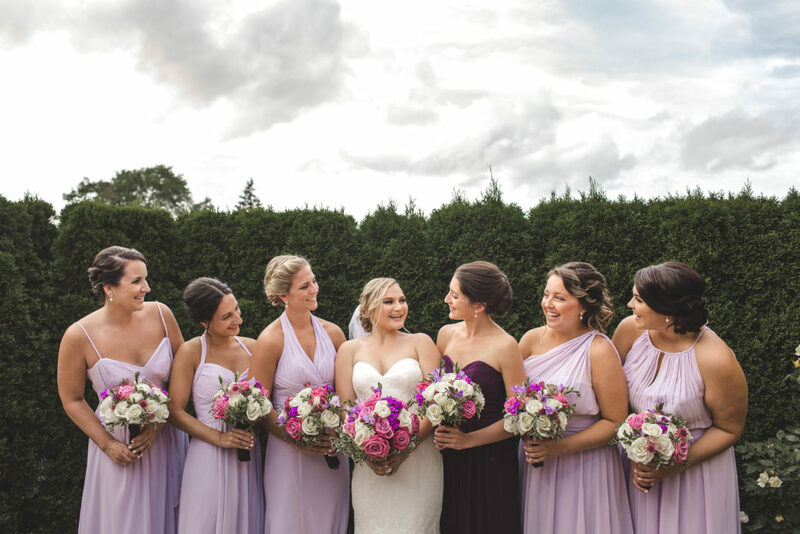 With more options than ever for bridal party style, it’s surprising that bridesmaid dresses still have something of a bad rep, especially in the fashion realm. Known for being expensive, uncomfortable, and impractical (because let’s face it, how often is one attending black-tie affairs where a floor-length chiffon gown is necessary? ), many women groan at the thought of having to pick out yet another dress that will collect dust in the back of their closets. But for those willing to think outside the box a bit, you can appease your closest gal pals and look good while doing it by incorporating non-matching bridesmaid dresses into your wedding party’s look. While weddings have long-tended to be “matchy-matchy,” there’s no hard and fast rule that says everyone has to wear the exact same thing. Take your main wedding color and let your ladies choose their own hue, which will create a gorgeous ombre effect in your photos. Bonus points if you let them choose their own style of dress as well, featuring a fabric or a neckline that they feel most comfortable in. 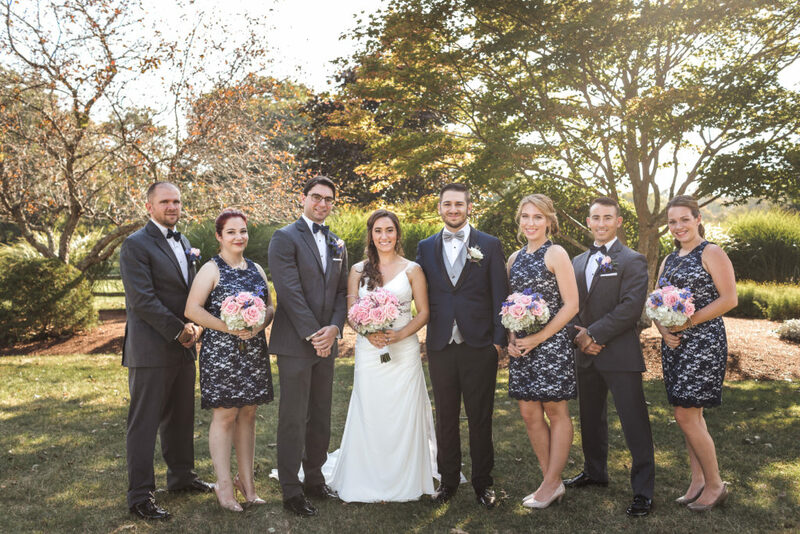 This will ensure that everyone looks and feels their best on your big day, which will make them more relaxed when it comes to being photographed and standing by your side in front of a very large group of people. It’s a win-win! Many brands will now offer the same dress in tons of color options, like BHLDN, The Dessy Group, J.Crew, Jenny Yoo, and so many more. Bridesmaid dresses historically were only available in solid colors, but over the past few years, more and more brands have introduced patterned options into their lines. Whether you put all your ladies in a fabulous print or just a few to break up the line of color, a patterned gown adds a hint of whimsy to your squad’s palette. Patterned dresses are much more likely to be worn again, because they tend to not look so much like a traditional bridesmaid gown. A floor-length floral print (seen above) is totally on trend with the flowing maxi dresses we’ve seen the past few summers, with higher quality fabrics making it much more appropriate for a formal gathering. These ladies sported a shorter option with a lace patterned shift dress. 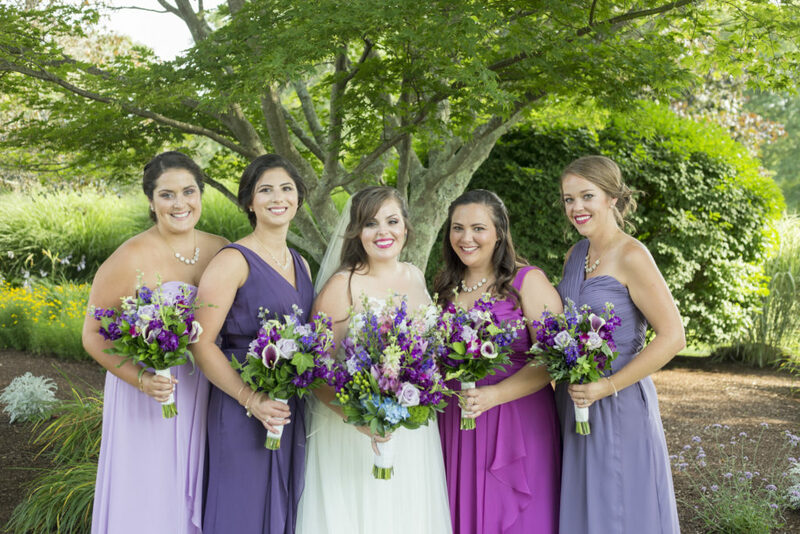 There probably isn’t a more wearable bridesmaid dress than this! It’s suitable for any occasion post-wedding, from a shower, to a date night – even a work function (just throw on a blazer and you’re good to go!). You picked your maid of honor for a reason, so let her standout with her own special frock! 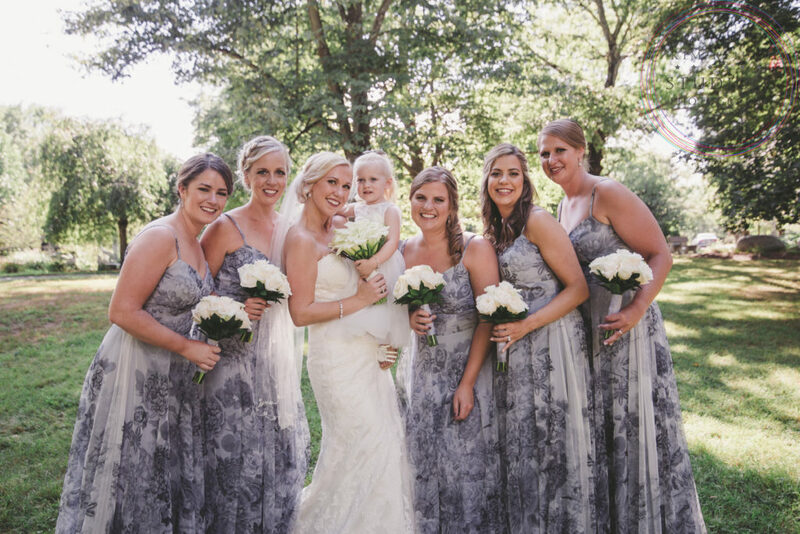 We love how this MOH wore a cute floral pattern in a corresponding color scheme with the other bridesmaids. Even her bouquet is unique from the other girls, with slightly different colored flowers that highlight her important role in the wedding party. 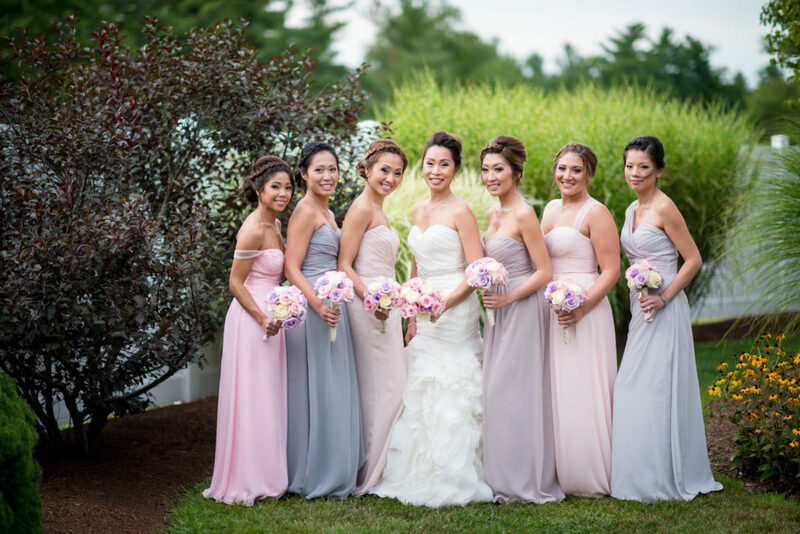 If a full spectrum of shades isn’t your thing, you can also choose one bold hue for your maid of honor, while the rest of the bridesmaids wear the same color (and again, different styles let each woman look and feel her best). 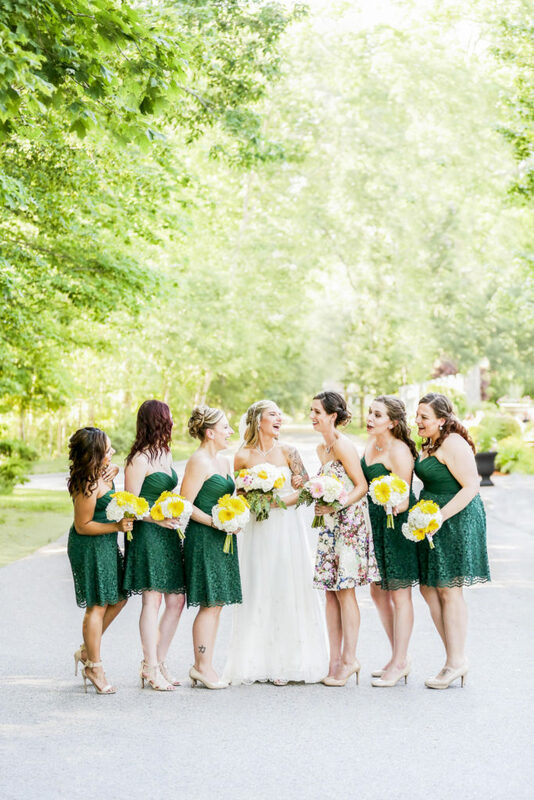 With so many weddings now incorporating unique elements that match the couple’s style, there’s no reason your best gals can’t get in on the fun. 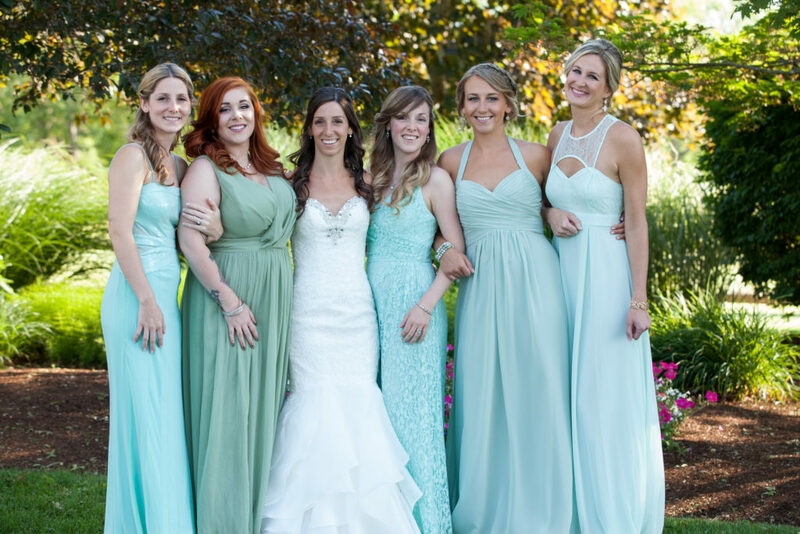 Non-matching bridesmaid dresses are a great way to showcase the personalities of the ladies you hold so dear, and are a fashionable alternative to the stuffier styles of the past. Which styles are your favorite? Let us know in the comments below!